With the recent technological advancement in the field of Internet some extremely secure and reliable ways of connecting to the Internet have been developed. These alternatives were formed as a result of the cyber crimes and the increase in their rates. With cyber crimes inflicting a loss of more than $1 trillion, it was a need of time to produce an alternative way of connecting to the Internet that is safe and secure. The most effective way which is known to the world till now is a VPN or Virtual Private Network. VPN Is the Technology For You! VPN is a latest technology in which users connecting to the Internet can send and receive their data traffic without any worry of a security lapse in their network. A VPN is well protected and authenticated so that cyber felons can be fended off. 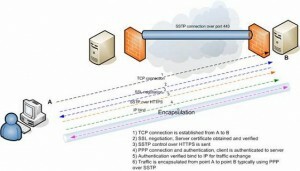 There are many types of VPN protocols that VPN supports. 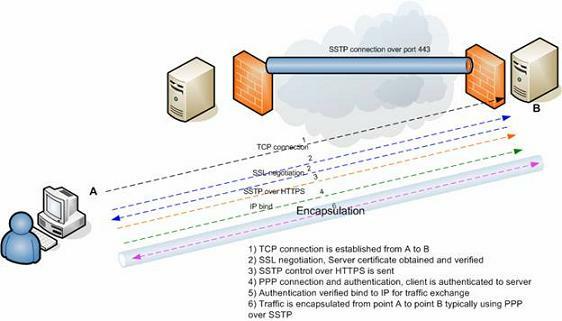 Some of them include PPTP, L2TP over IPSec, IPSec, SSL, SSTP and many others. But some of the governments or controlling authorities have found a way to block these protocols through a firewall and so the VPN’s supporting these types of protocols become useless. But the governments’ haven’t found any way of stopping a VPN supporting the SSTP protocol. In this way if you are having an SSTP or Secure Socket Tunneling Protocol supported on your VPN then you cannot be stopped by any firewall or by anything, because blocking SSTP protocol means that the country is stopping all its online financial transactions. So blocking SSTP will be a disaster. SSTP basically works on the principle of sending all the SSP VPN traffic over https sessions, so stopping https means that you are blocking all the giant websites on the Internet. In this way SSTP VPN provides you with the ultimate security and premium speed so that you get the best service and an enhanced Internet experience.